Would you like to own a second home as an INVESTMENT PROPERTY that can provide you with GREAT INCOME immediately? 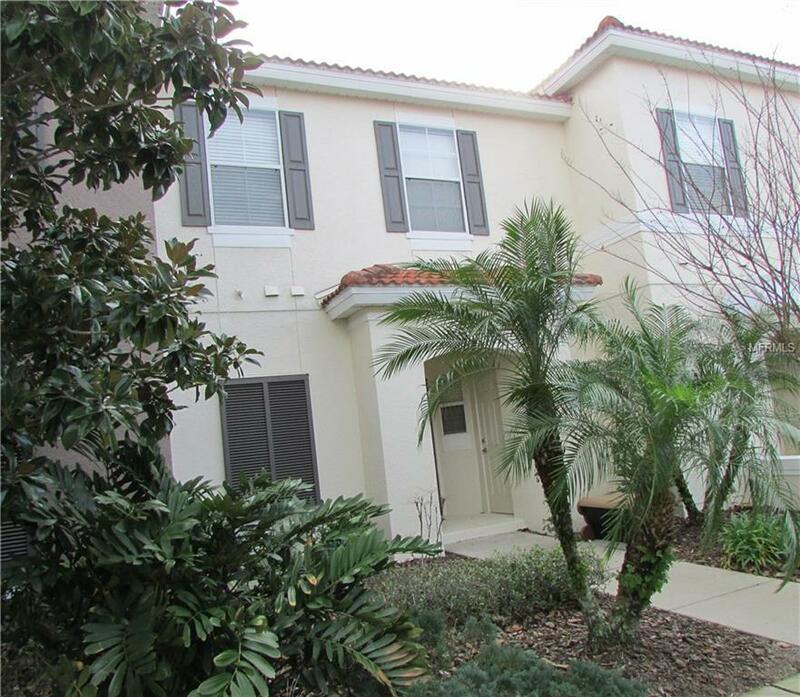 This fully furnished and equipped, 3 bedroom, 2.5 bath, two-story townhome is perfect for short-term rental! It is also a desired primary residence and allowed for long-term rent.The first floor includes the kitchen, dining and living area, a half bathroom, and laundry room. The carpeted bedrooms and two full bathrooms are upstairs. Enjoy the natural light throughout this beautiful home. Soak up the Florida sun in your screened patio facing south and splash into the fenced-in, private heated pool. The Bella Vida luxury condo resort welcomes you with a concierge, clubhouse with two pools, picnic area, fitness center, playground, volleyball court, basketball court, game room, pool-side bar, walking trail, lakes and gardens. Free Wi-Fi is included in the home. Exterior of buildings was painted in Jan. 2018.Bella Vida is off US 192, behind the Medieval Times Dinner and Tournament and a short drive away from Orlandos attractions, the Disney theme parks, and water parks.